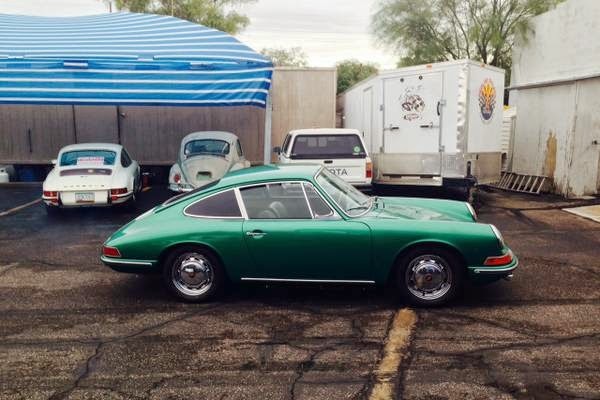 Buy Classic Volks – Here’s we found a beautiful classic Porsche released in 1966, this a green coupe in excellent condition, powered by 6 cylinders 2.2 liter engine has 45329 miles and 2 owners, ready to go. 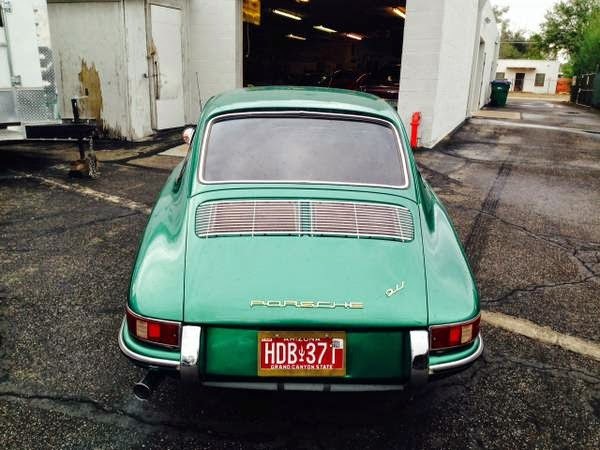 This is a two owner 1966 911 coupe original color was Bahama yellow. This car does not have the original engine. I have an original 2.0 block that is dated 11/65 case. The case has been machined and updated by Ollie’/s machine. This is my personal car I am owner of Redline service and I can build a motor for you. I can use the parts in this engine or build some more Horsepower into it. Since 1985 it has had a 2.2 T with Weber carburetors. This automobile as been in Southern Arizona and California it’s whole life. 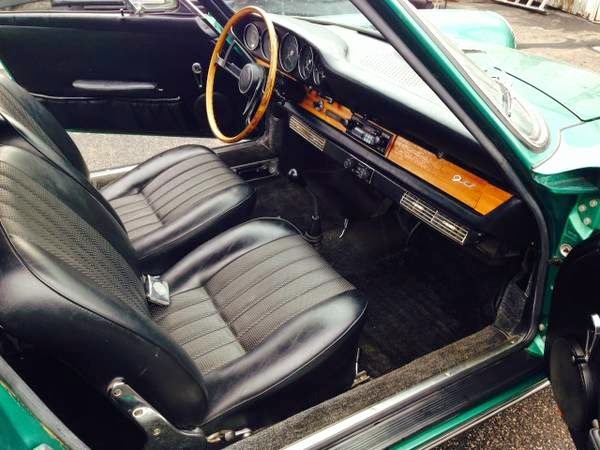 The receipt folder on this automobile goes back to 1971 when she had 29,000 miles. 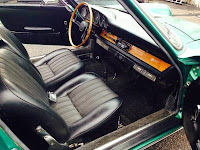 The excellent perfect shape interior on this car was done by Autos International. Sometime in the 80’s or 90’s the car was painted metallic green a color similar to Dr. Porsche’s favorite color. 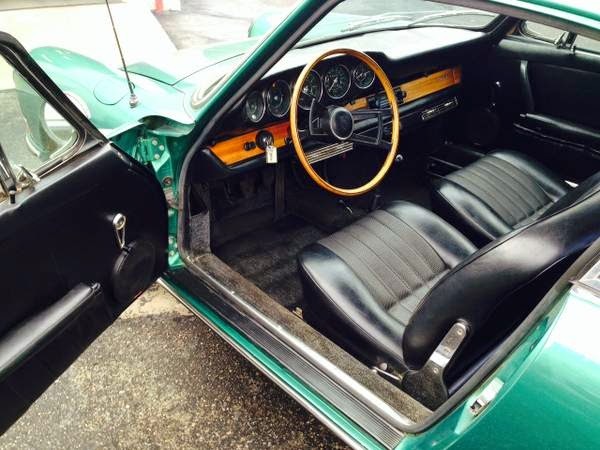 This restoration was done by Redline Service the car was never wrecked and was in original paint when the color change was done. Redline has serviced this 2 owner car for thirty years. The working Maier Line A/C system was installed in California in 1970. 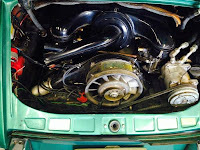 The 2.2 911 T engine was installed in the car in Phoenix Arizona in 1984 when the car had 45,700 miles. Brake master cylinder and hoses along with caliper rebuild were recently done. A new gas tank and battery was just installed. Rear torsion rubbers and door latch’s were also done. New set of tires on perfect correct 11/65 date code chrome 4.5 wheels. 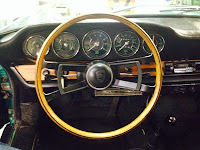 Spare tire is mounted on a 12/65 dated chrome wheel. These are factory original chrome with grey paint still on the inside and centers. Location in Tucson. 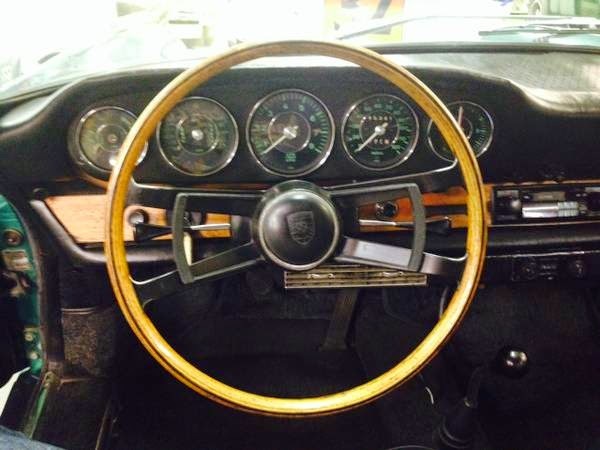 This entry was posted in 1966, 911, Closed, Porsche, USA and tagged Porsche 911 on December 27, 2014 by buyclass.